Minimum offer $1444.00 – Click image to contact me. Anyone can use this highly unusual 4-letter domain name for any website or business. Because no more 4-letter domains are available or have been for at least a half-dozen years, ULQL.com is a premium domain. You have to buy any 4-letter domain name from someone selling theirs and they usually are not cheap! Since the domain is generic it could be used for virtually anything. Here is an example of a different 4-letter domain name, LKVA.com. If you already have a site ULQL.com could be used on a separate site to put your sale items on, use for a landing or squeeze page, or extra content to draw more visitors and point them to your main site. 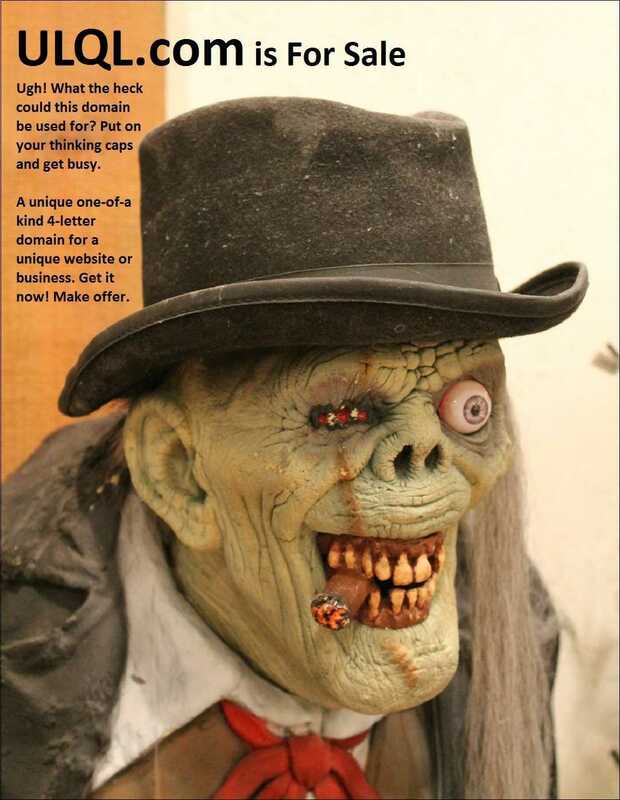 For a new site anything goes but you’ll need to put your thinking cap on to make optimum use of this unusual domain name. Here is an example of one of my 4-letter domains, http://uiir.com and you’ll see the domain name has nothing to do with the content on the site. Here’s another of mine. Contact me if interested or make an offer with my registrar.